Choosing and buying an engagement ring is one of the biggest commitments you'll likely ever make - both personally and financially. As a jeweller I have come to understand that it can also be quite a daunting, confusing and overwhelming experience. It shouldn't be! This guide aims to simplify things by giving you some key things to consider before taking the leap which should make the entire process a lot easier and more enjoyable for you. Think about what style of ring would best suit your partner. Are they a classic, traditional type? Or more modern and contemporary? Is their style understated and refined? Or flamboyant and flashy? Each style has its pros and cons which I will happily go over. Take note of the type of jewellery they wear and even consider taste in fashion and furniture or the art they appreciate. No one knows them as well as you do! Below are some examples of various styles to help get you on the right track. Diamonds are the most traditional and popular centre piece for engagement rings, offering the highest brilliance and hardness. 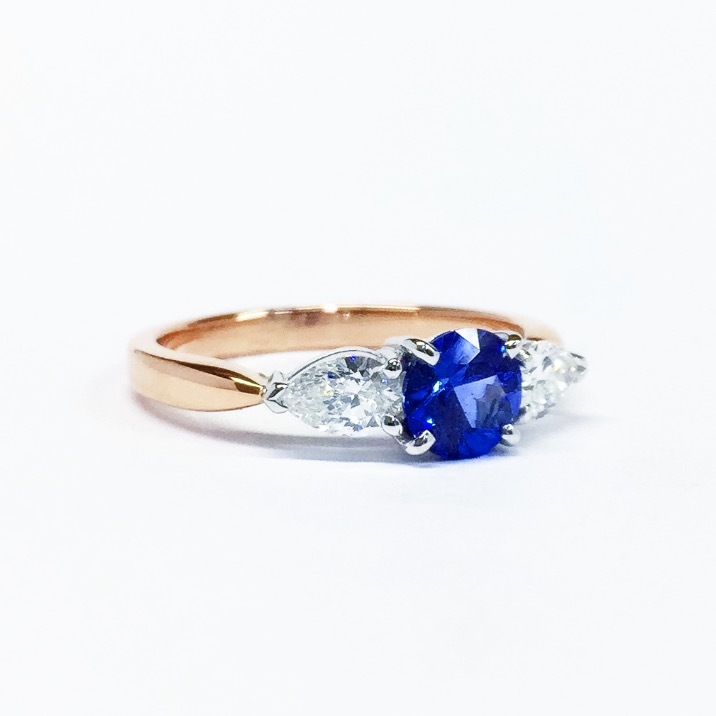 If diamonds aren't your thing, outside of your budget or you're looking to add some colour, sapphires are a fantastic alternative, offering exceptional hardness in a vast array of colours. Shape - Round is the most common shape due to their incredible brilliance and light refraction abilities. There is also a wide variety of fancy shapes available which each offer something different and may be suited to certain styles more than others. 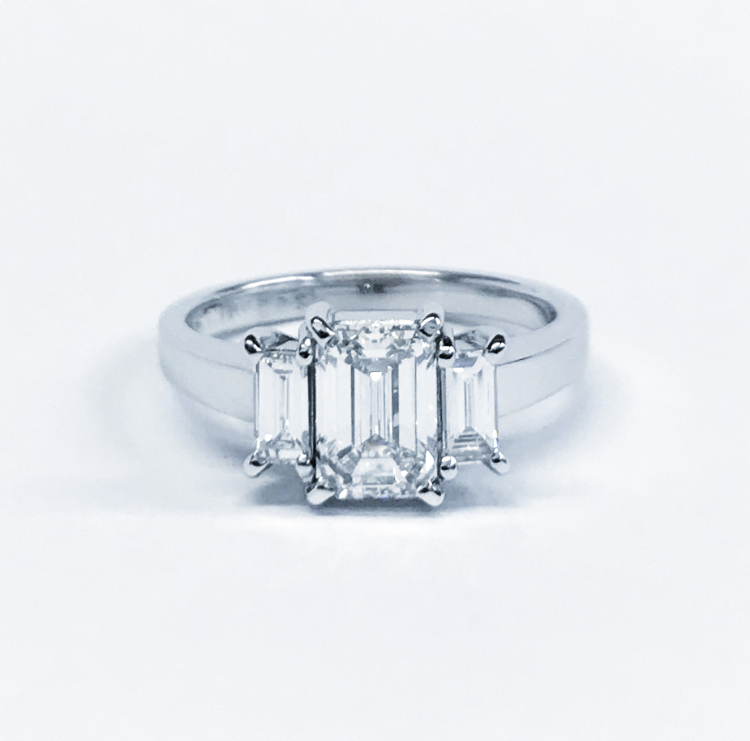 Once you have settled on a shape, I will help you find the right balance between size and quality to suit your budget and can arrange to show you a selection of stones to look at and choose from. The most popular metals for engagement rings these days are white gold and platinum. Both offer that beautiful bright white colour however platinum is the harder wearing of the two. Yellow and rose gold are fast becoming more fashionable again but essentially the colour you decide on comes back to the style that best suits your partner. Take note of the jewellery they wear to get a sense of what colour they might like. Trying to figure out the finger size and keep it on the down-low is often the most difficult part, but not impossible! The best way is to bring in one of your partners other rings for me to measure (ideally without them noticing). If this isn't possible you can measure the inside diameter of one of their other rings in millimetres by either holding a ruler against the ring and measuring at the widest point on the inside of the ring, or tracing the inside of the ring on a piece of paper. 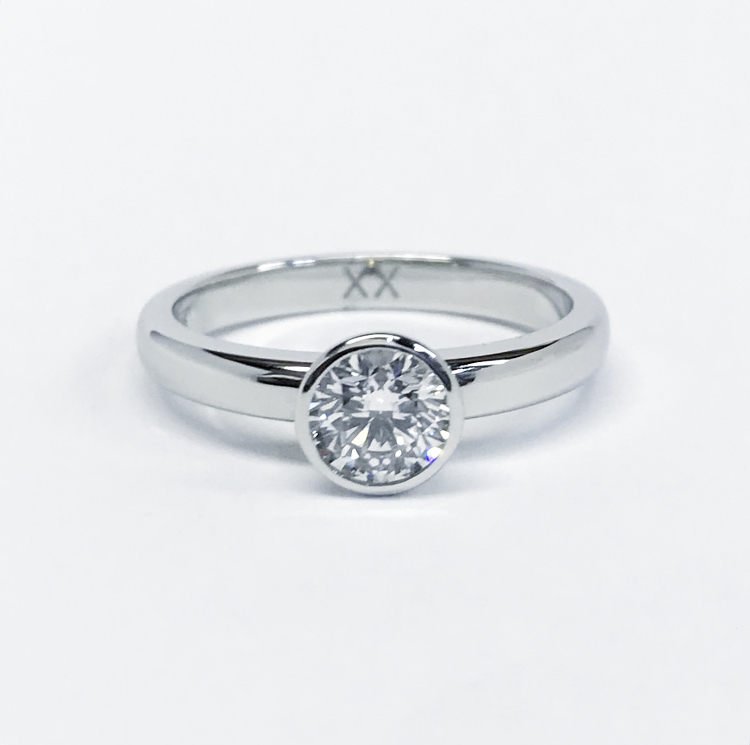 Be sure to take note of the width of the ring, as well as which finger they wear it on as this will help determine the correct size. The common myth that you should spend a certain number of month's wages on an engagement ring is absolute rubbish! I am a firm believer that your budget should be determined by what you are comfortable spending and what you can afford. Generally the main component of the pricing is the diamond or gemstone, with the labour and metal costs making up the rest. Hopefully by now you have a clearer idea of the process involved and more confidence to dive in and get the show on the road. If you would like to learn more about the manufacturing side of things please feel free to contact me or see the process page. Consultations are held in a relaxed and personable environment in my studio workshop. I look forward to sitting down with you and getting the ball rolling!